Expanding access to costly cancer treatments and the high price of new generation insulin formulas were among the controversial topics of debate today as the WHO Expert Committee on the Selection and Use of Essential Medicines convened for its biennial update of the list of over 400 drugs deemed most essential for treating public health needs globally. Meanwhile, the Geneva-based Medicines for Patent Pool (MPP), confirmed its intentions to expand efforts negotiating drug licences beyond the traditional areas of HIV and Hepatitis C drugs to incorporate other medicines essential to low- and middle-income countries. The new MPP direction would aspire to include new generation antibiotics and reproductive health drugs as well as treatments for cancer, multiple sclerosis and cardiovascular disease – which are often unaffordable to low- and middle-income counties, said a statement submitted at an open session with civil society representatives at WHO’s Geneva headquarters, marking the kickoff of the 22nd Expert meeting. “Given the MPP’s mandate to facilitate access to more affordable essential medicines in LMICs through public health-oriented licences, we would like to bring to the attention of the Committee that the MPP stands ready to explore the licensing of patented medicines that the Committee considers to be important. MPP licences could contribute to accelerating the development and availability of generic versions for use in resource limited settings,” said the statement, signed by MPP Executive Director Charles Gore. [Gore spoke to Health Policy Watch about the new MPP strategy in a 25 March interview]. The proposal follows in line with a 2018 recommendation by the WHO and the Lancet Commission on Essential Medicines, as well as a year-long feasibility study, MPP said. “While we are aware of the multiple challenges for access to essential medicines in LMICs, … we are convinced that working together with governments, industry, patients and civil society, among other stakeholders, it is possible to ensure that new medicines that are considered essential become available in LMICs at affordable prices shortly after they are first brought to market. The MPP’s experience in HIV and hepatitis C has shown that this is possible, and we look forward to extending and adapting this model to new areas, in close partnership with all stakeholders,” the statement concluded. The WHO Essential Medicines List (EML), first developed by WHO in 1977 and updated every two years in consultation with experts worldwide, is used as a basis for health authorities in many countries to guide their decisions on the products that they ensure are most widely available for their own populations. This year’s proposed additions include nearly 30 new medications as well as about a dozen new formulations for treatment of diseases ranging from Diabetes type 1, cancer, tuberculosis and hepatitis C to diarrhoeal diseases. One proposal to include insulin “analogues” (altered forms of human insulin) as treatments for Type 1 diabetes, met particularly stiff resistance from several scientific experts, civil society and patient access groups, including Health Action International and the International Insulin Foundation. They said adding new analogue drugs, which are much more expensive, into the EML, could ultimately drive up insulin prices for developing countries. Hans Hogerzeil, Professor of Global Health, University of Groningen, Netherlands, speaking on behalf of Health Action International, cited an HAI price survey of insulin products in 13 low- and middle-income countries that found governments paid around $US 5 (per month of treatment) for the 3 main types of human insulin while prices of analogues were $US 42-55, or 8 to 11 times higher. Human insulin is a crystalline reconstructions of the insulin found naturally in the body, while analogue forms have been modified to create a pattern of slower (or more rapid) insulin release and absorption. This can, in turn reduce the number of required injections from 2 to 1 daily for some patients, who are on a very stable insulin regime. “There are some clinical benefits for some categories of patients, but these do not justify the enormous price difference,” said Hogerzeil, noting that analogues also are unnecessary for many other categories of diabetes patients. 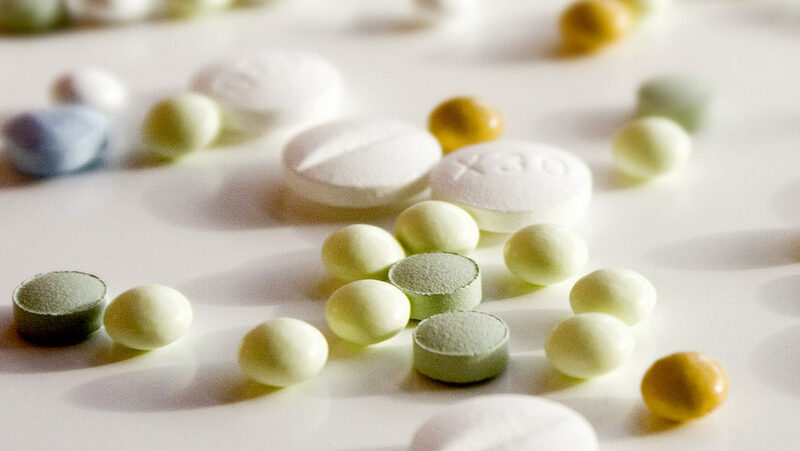 Proponents of the analogues including the Knowledge Translation Program of the Canadian-based St. Michael’s Hospital, which submitted the request to have them included in the EML, argue that their inclusion as essential medicines would eventually reduce prices. Opponents have said that this cannot really happen without more products being put onto the market – now dominated by just three pharmaceutical firms. One opportunity for reducing prices lies in the emerging market of “biosimilar” insulin products. Biosimilar insulin products are biologically similar, but not identical to the analogue products that are currently under patent, but they have the same clinical effects. Potentially, if their production is increased, biosimilars could function in the marketplace like generic drug formulations to bring down prices. However, biosimilar insulin products have faced considerable regulatory barriers to approval, said Hogerzeil. Hogerzeil welcomed remarks at the expert meeting that WHO might include insulin as part of its “Pre-Qualification of Medicines Programme” as a step in the right direction. The WHO Prequalification Progamme vets some new drugs deemed as essential for developing countries, and it has gradually expanded the types of drugs it evaluates. “If you include insulin in the WHO Prequalification Programme, then you can have meaningful competition,” he said. Speaking at today’s session, Assistant Director General Mariângela Simão, who leads WHO’s work on essential medicines, said that WHO would explore expansion of the WHO Prequalification (PQ) Progamme to other “important” drug categories, including cancer and diabetes drugs. Both industry and civil society representatives teed off at the open session over some of the findings and recommendations of a 2018 WHO EML Cancer Medicines Working Group meeting and technical report. The statement, signed by IFPMA Director General Thomas Cueni, also said that the companion WHO technical report relied too heavily on out-of-date data in examining the survival rate question, and there are other criteria besides overall survival rate that should be considered when evaluating cancer medications. Finally, the WHO Essential Medicines List should not be used as a tool to diminish the value of medicines deemed safe and effective by national regulatory authorities. “If drugs are medically effective, but expensive, they should be placed in an EML category for drugs that are medically essential but face challenges regarding affordability. Governments and patients would take this as a signal to implement policies to make these medically effective therapies affordable. “A system of medical guidance that consistently ignores or excludes new drugs for cancer needs to be reformed, and new options for dealing with affordability and access are needed if we are serious about achieving equality of health outcomes,” the KEI statement added, calling on the Cancer Medicines Working Group to continue their work. In another submission to the Expert Committee meeting, the EML Secretariat in WHO recommended expansion of the new three-phase classification of antibiotics (AWaRE), introduced with the publication of the last 2017 EML. The 3-phase antibiotic classification was developed to guide more rational use of antibiotics where risk of anti-microbial resistance remains high. It sorts leading antibiotics into categories where access should be widely available for first-line treatment (ACCESS); used more judiciously (WATCH); or drugs used only for last-resort, life-threatening infections where other treatments have failed (RESERVE). The new recommendations would expand the system to a broader range of antibiotic drugs.